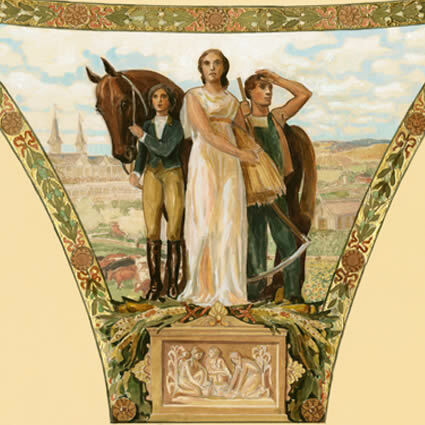 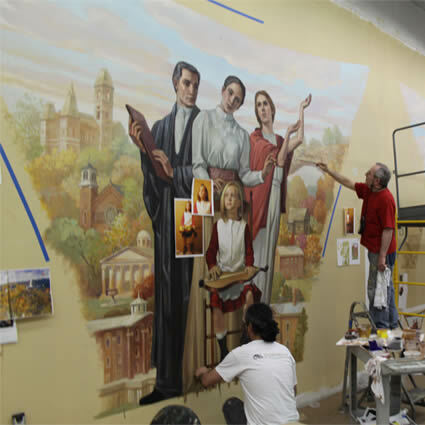 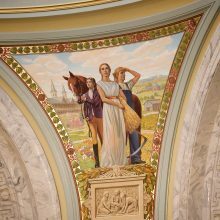 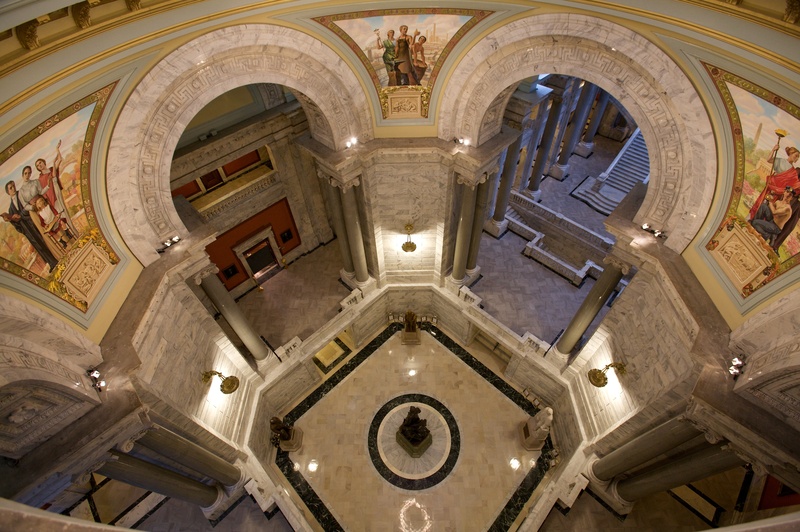 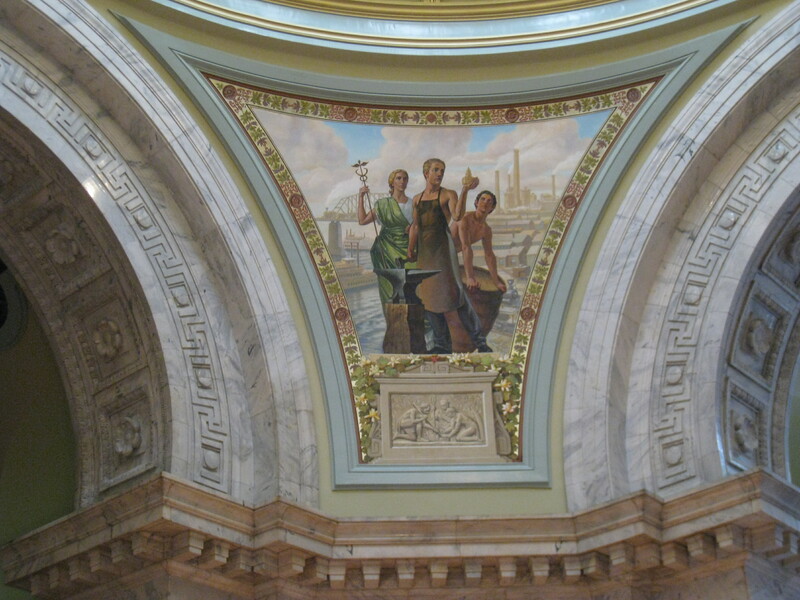 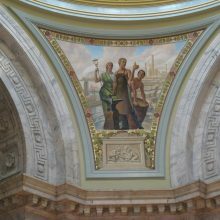 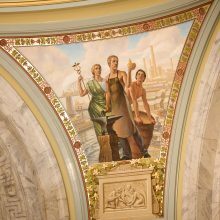 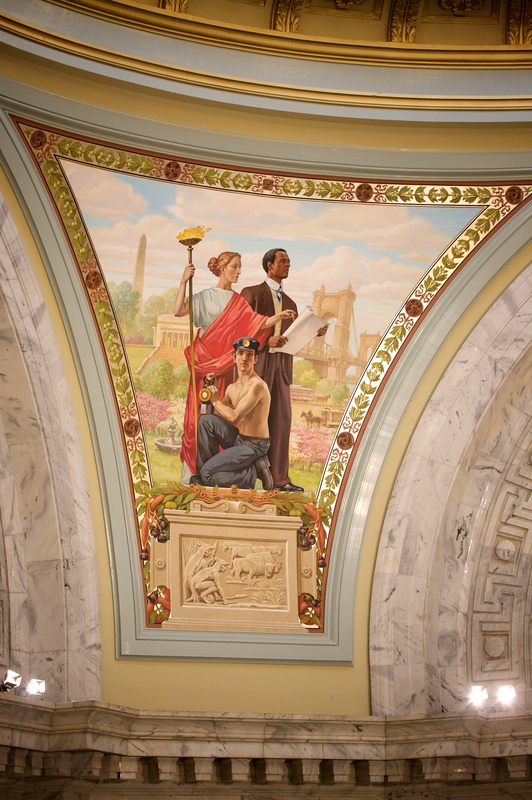 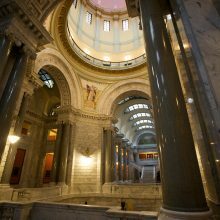 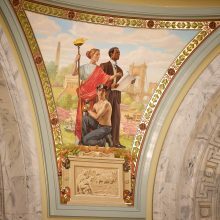 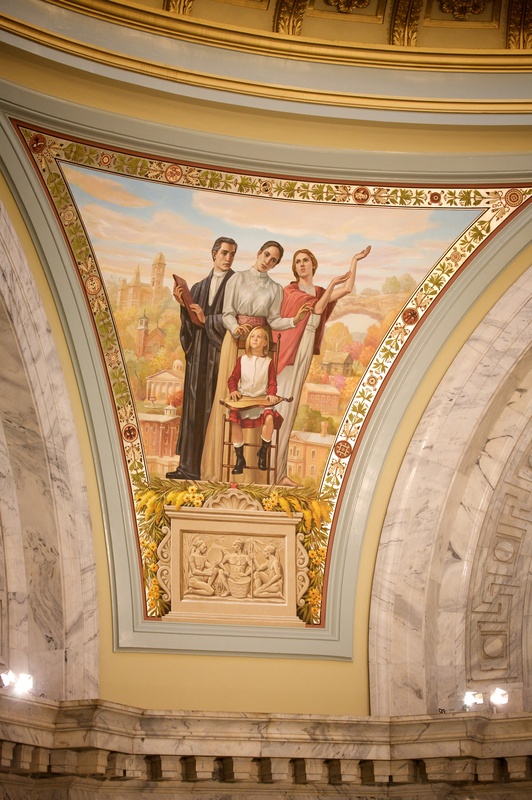 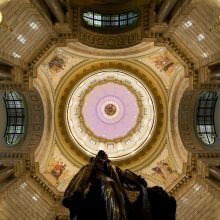 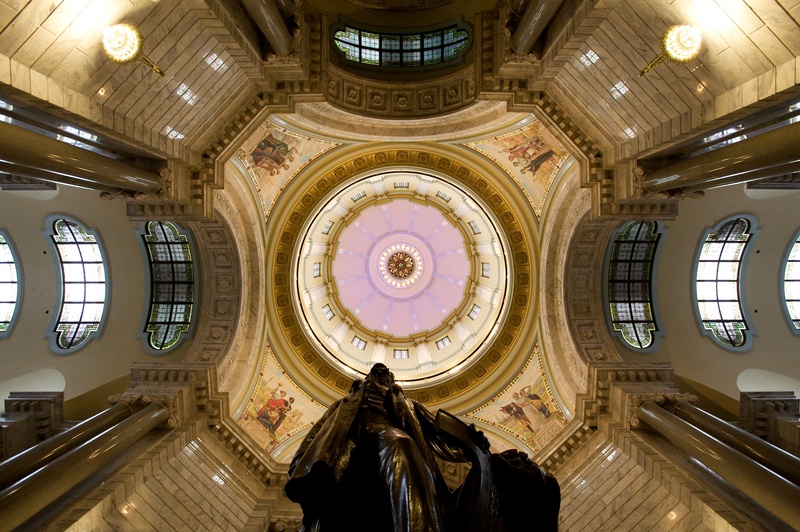 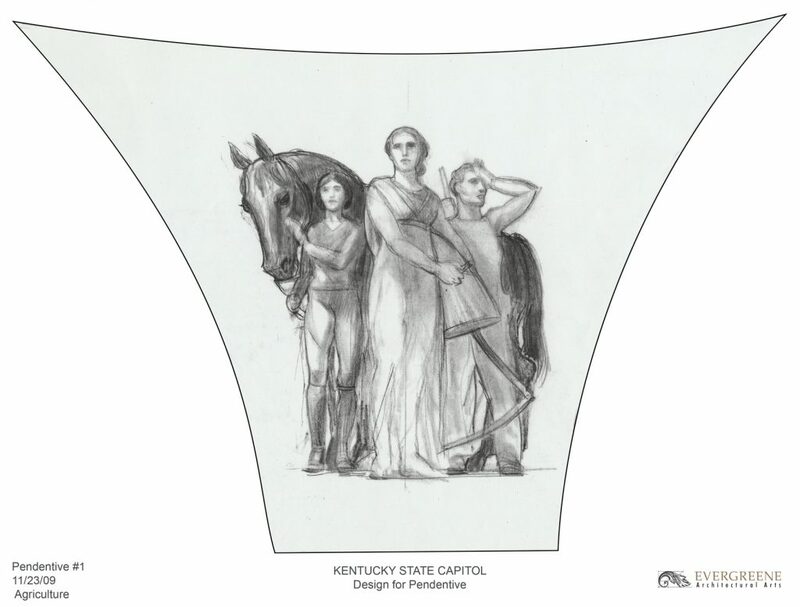 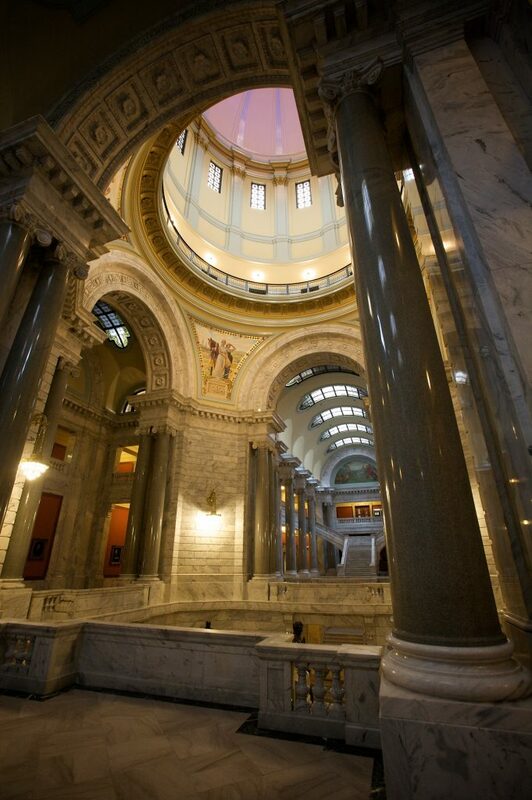 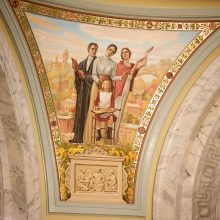 EverGreene was commissioned to paint four new murals for the pendentives in the Kentucky State Capitol rotunda. 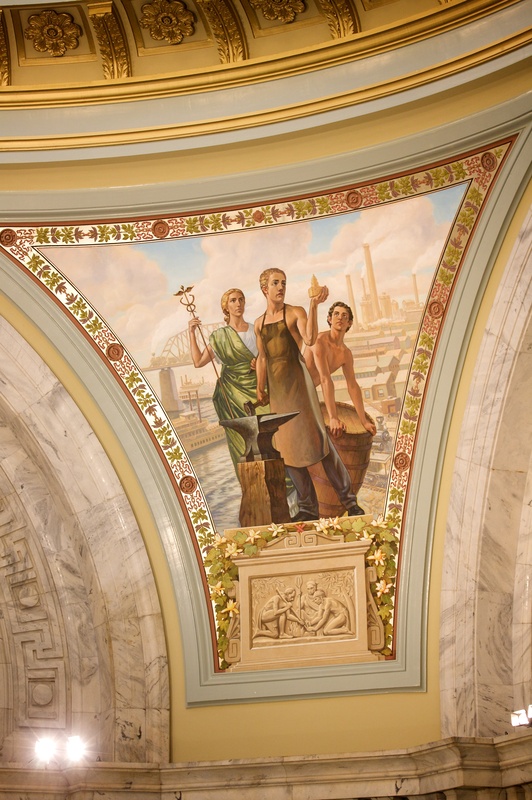 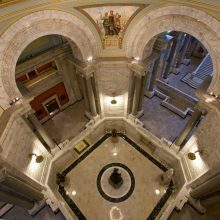 Over just a six month period, EverGreene designed, painted, and then installed the four pendentives in time for the Capitol’s centennial celebration. 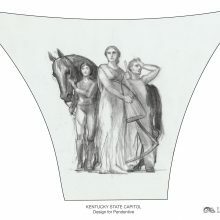 The four pendentives contain allegorical symbolism, historical iconography, and various symbols, landmarks, and representations of the sate of Kentucky. 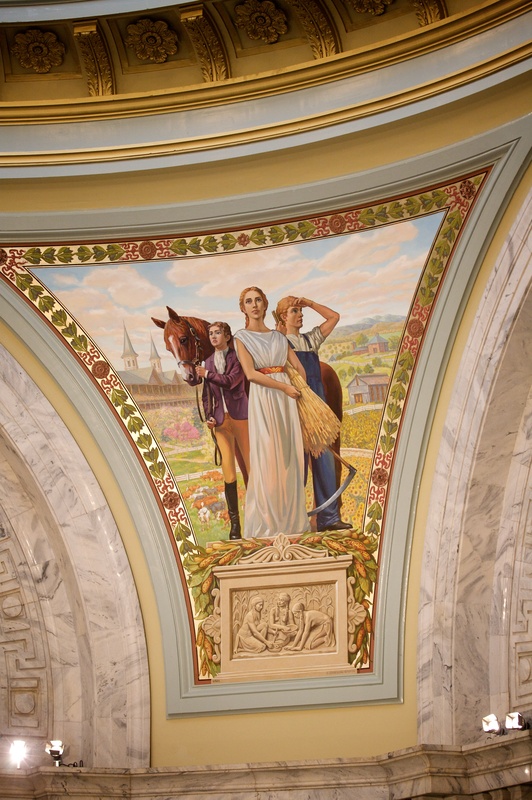 Each pendentive has a trompe l’oeil bas relief at its base, depicting an element of Kentucky’s pre-western origins.